Electronic Beats’ live program has facilitated some powerhouse performances throughout the years, almost all of which are readily available on EB’s YouTube channel. But which is the greatest live performance of all? We’re handing it over to you to decide over the coming weeks as we host the first ever EB Live Battle. 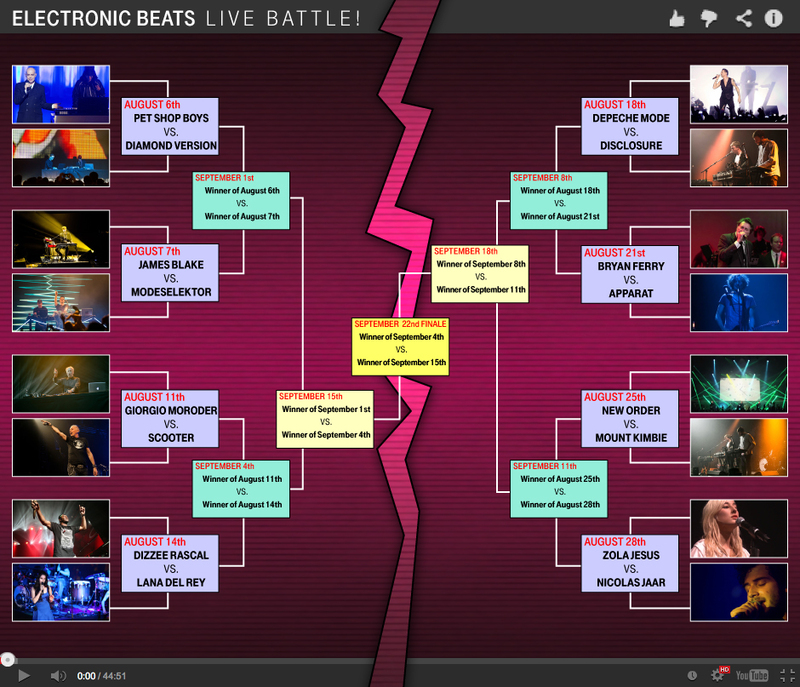 The first round of our EB Live Battles has come to a close, and today we ring the bell to kick off round two. 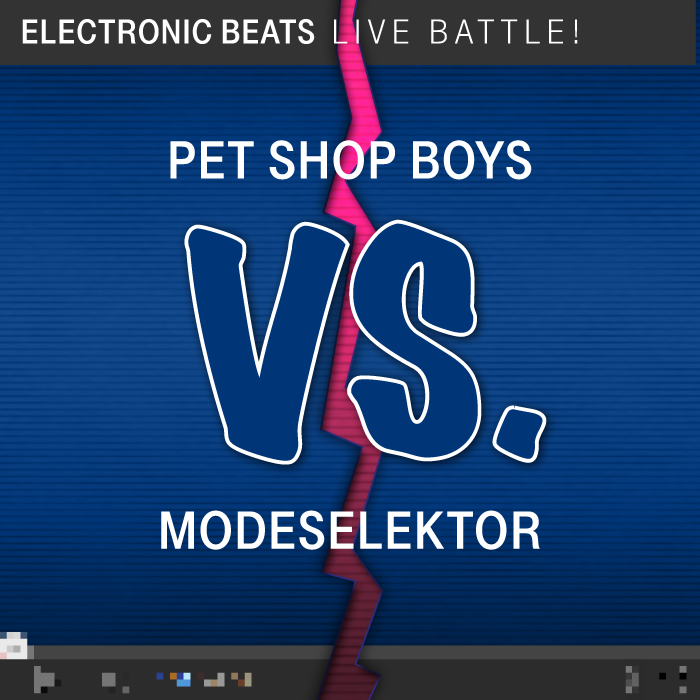 Our first pair of victors is Modeselektor and the Pet Shop Boys; the former beat out post dubstep don James Blake, while the latter group smashed Diamond Version in the first match. Here we have a clip of Berlin electronic experimentalists Gernot Bronsert and Sebastian Szary of Modeselektor cranking out two very German tracks in Poznan last year: “German Clap” and “Berlin.” However, our submission from the UK electro-pop duo remains the same as last time, which means you can re-watch their 2012 appearance in Berlin if you need a refresher. Will the repeat performance work in Modeselektor’s favor? It depends on your opinions, which you can voice in the comments below.